Here are some recolours of the massage table that came with Bon Voyage. Plus BONUS! 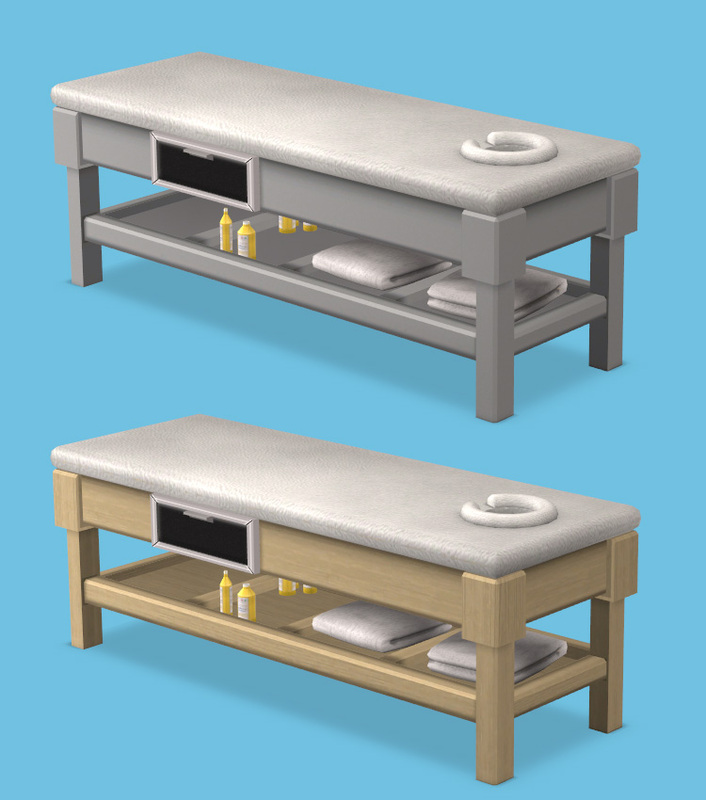 default-replacement textures for the massage oil bottles, because those are not "designable" in game. They always stay the same colour. The same bottles are also used as the suncreen bottle when sims sunbathe, so the sunscreen bottle will be changed as well. There are THREE default-replacement colours included here but you can only install ONE at a time. 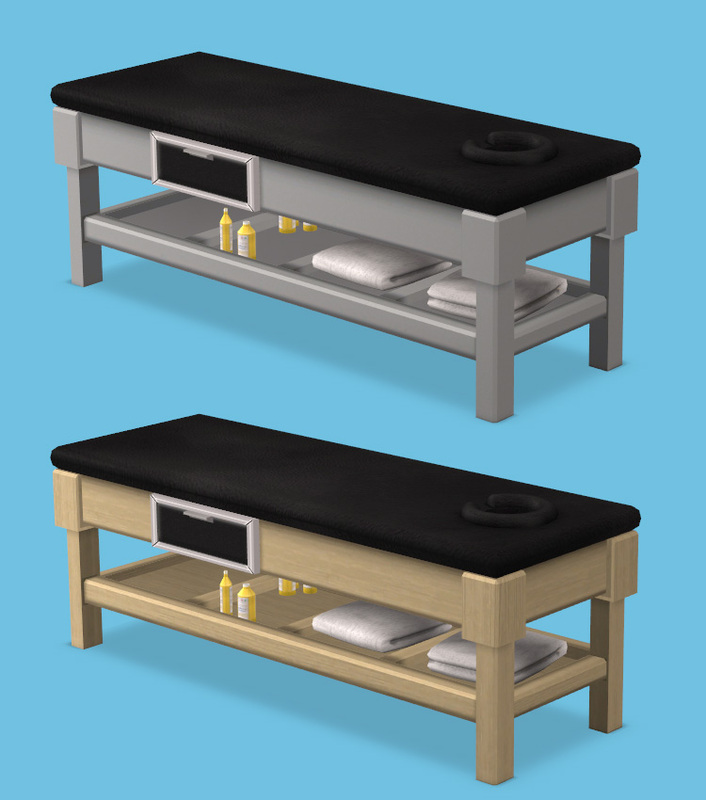 The massage table recolours are normal recolours, you can install as many as you like. Thank you fansee, lovely color choices as always. Oh that was fast! *-* And they look great, thank you!